How to do proper oral care when pregnant? Pregnancy can lead to dry mouth and higher oral acidity due to hormonal changes. As a result, pregnant women might be at higher risk of tooth decay, infections and enamel erosion. Aside from regularly brushing and flossing your teeth, a fluoride mouthwash can help maintain oral cleanliness. In addition, the fluoride can help maintain the integrity of your teeth enamel. As mentioned earlier, there will be increased acidity levels in the mouth during pregnancy. 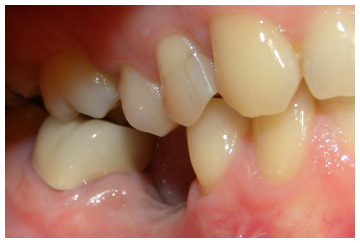 The acids will erode the enamel and reveal the yellowish dentin (enamel becomes translucent). A fluoride mouthwash can prevent or slow down that scenario. It will wash away the food debris and bacteria from your mouth. The fluoride will then add an extra layer of protection to your teeth enamel. Aside from increased acidity levels, a dry mouth is also a common oral problem among pregnant women. A dry mouth can increase your risk of tooth decay and infections. In addition, there’s less amount of saliva to neutralise the acids in your teeth and gums. To enhance saliva production, it’s recommended to chew a sugarless gum. To balance acidity levels (and for better overall health), stay hydrated. Drink more water instead of sugary beverages to further protect your teeth from acids. A dentist can early detect oral problems before they cause total tooth decay. Some areas of your teeth and gums might have been already compromised. It’s recommended to clean them as soon as possible. On the other hand, an oral hygienist can provide you with a comprehensive program for effective oral care while waiting for your baby girl or boy. The oral hygienist will also provide you with other preventive measures (including diet and habits) for excellent oral health. Here at Kissing Point Dental, we create personalised dental care programs for each of our patients. We perform a thorough dental examination, start treatment and educate you about long-term prevention of teeth problems. Contact us today and book an appointment that works around your schedule.